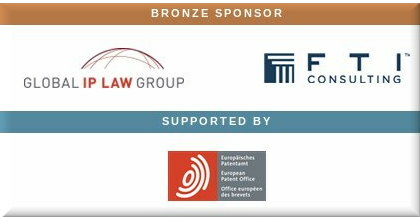 Ever since Turkey became a member to European Patent Convention (EPC), the enforcement or invalidity of the Turkish validation of a European Patent (EP), while proceedings before European Patent Office (EPO) are pending, has been a hot topic. The owner of a EP is normally concerned with if and how the pending opposition/appeal proceedings before the EPO impacts the enforceability or validity of the national patent validated in Turkey. The strength of a patent may seem questionable in an enforcement attempt at national level because of pending EPO proceedings, whereas the matter is much more complicated and risky if the patent owner is faced with an invalidation action at national level as well. Well, invalidations are about to become a lot more common, albeit the EPO already wages a war against the appeal boards, which means that invalidations will be carried out in expensive court battles (i.e. not many, for costs are prohibitive). This mirrors, more or less, the situation in the USPTO with the Patent Trial and Appeal Board (PTAB). “…invalidations are about to become a lot more common, albeit the EPO already wages a war against the appeal boards, which mean that invalidations will be carried out in expensive court battles (i.e. not many, for costs are prohibitive).”EPO workers openly state that patent quality has declined, but EPO management is notorious for repeating lies over and over again, hoping that repetition will help such lies stick. IAM is the main supplier of such lies. As we noted a number of years ago, IAM was being paid by the PR agency of the EPO for its Unitary Patent propaganda — something which continues to date and irks Spaniards like Francisco Moreno on Twitter. In relation to the Spanish political changes he bemoans IAM’s latest spin, which we responded to about a day ago. Team UPC’s promotion of SPCs (there’s an agenda overlap) was noted here over the weekend and here comes IAM again, admitting that “uncertainty continues over unitary regime” but still promoting the SPC agenda. 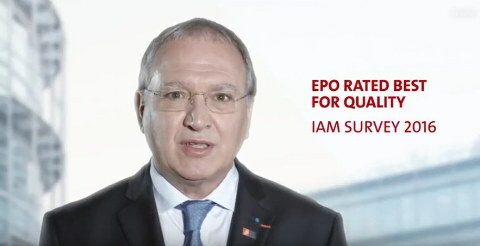 Despite the controversy that has surrounded it in recent years, the EPO continues to garner by far the best approval ratings among the IP5 from IAM’s readers. 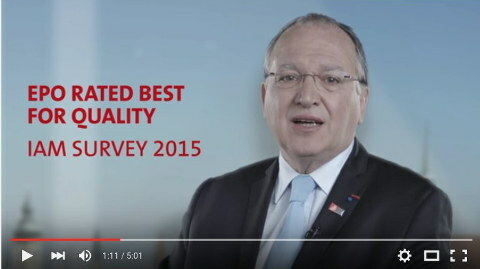 As in the last two years, it ranked highest in perceptions of patent quality – significantly higher proportions of respondents regard its offering as excellent or very good than for any other office listed, with only a tiny minority regarding the quality as poor – 1% of those in operating companies. SEVERAL hours ago we wrote a long post about the importance of patent quality — something which the EPO certainly forgot (the management did, not the examiners though). “The Federal Circuit and the Patent Trial and Appeal Board (PTAB) are particularly sceptical of low-quality patents.”US courts have undone a lot of damage in that regard; they nowadays deny many plaintiffs the ‘pleasure’ of suing lots of defendants. The Federal Circuit and the Patent Trial and Appeal Board (PTAB) are particularly sceptical of low-quality patents. “What good are a lot of patents if they don’t actually represent novelty and something sufficiently advanced (a scientific advancement) to merit a patent?”It’s not hard to imagine who would be hurt by this: the litigation ‘industry’. IAM’s 90th issue — as laughable as it gets — continues sobbing and moaning like it’s all about numbers (patents and lawsuits), not actual value (or quantity over quality). They open up by taking stock of “entities with portfolios of 1,000 or more US patents” and it goes downhill from there. We’ll get to that in a moment. Well, by the sound of it this pertains to software, but it’s hard to know for sure without independently and thoroughly auditing each and every patent. Notice how close they’re getting to the 10 millionth patent now. Worship the numbers? To lawyers, patents are like deaths to a funeral parlor. From suffering comes profit. One of the more substantive questions in the recent interpretation of what encompasses patentable subject matter under 35 U.S.C. § 101 is whether facts should play any role in the analysis. The Supreme Court has not been perfectly clear on this issue, and the Federal Circuit appears to have taken both sides at various times. In last week’s denial of en banc review for two cases, the Federal Circuit answered with an emphatic “yes.” Thus, the question seems resolved. For now. “Notice how close they’re getting to the 10 millionth patent now. Worship the numbers?”Remember that in these circles, such as Watchtroll, one can only be “pro-patent” or “anti-patent” and when they meet someone who isn’t as extreme as them (regarding patents) they just label that someone “anti-patent”. Watchtroll already labels some judges and even Justices “anti-patent”. What good would Iancu’s policies be if patents got granted only to be later rejected by courts? If anything, it would further reduce certainty/confidence in patents, exacerbating an already-serious problem. It’s very costly, but the costs are associated with fees that lawyers pocket, so it’s really a ‘feature’ to them. Well, granting bad patents actually reduces “predictability”. To make patent lawsuits more predictable the USPTO need to become a lot more strict about what patents it grants. “They’re either working for law firms or are funded by them (like IAM, which also gets funded by patent trolls).”He speaks of “IP uncertainty”, but we suppose that by “IP” he meant patents and actually bemoaned how hard they are to enforce (it’s hard to know what he meant because of IAM’s paywall). Either way, the only solution to this is to become less lenient in examination (maybe investigate this 'revolving door' phenomenon). IAM’s 90th issue has come out and it’s full of hilarity as usual. It’s basically the “Pravda” of the patent maximalists. We’ve taken some time to quickly review it and shake the head. IAM’s Tim Au and Adam Houldsworth released this thing (mostly behind paywall) titled “Europe enjoys a patent renaissance, despite Brexit and UPC uncertainty”. The US fightback, revealed in last year’s IAM benchmarking survey, may have come to an end. While 2017’s results revealed a favourable swing in sentiment towards the US patent regime, this year’s responses suggest that gloom may be descending once more – even before the Oil States judgment became known. What they mean by “gloom” is less litigation (or less successful patent lawsuits), that’s all. The USPTO granted too many patents in error. Small and medium-sized enterprises (SMEs) are widely perceived to lack the necessary means to maximise their IP potential. 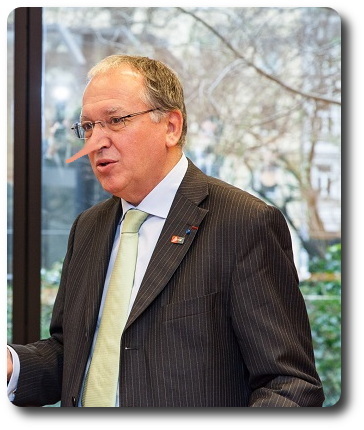 However, the European Patent Office (EPO) has published a series of case studies on a variety of SMEs across Europe which contradicts this (http://epo.org/sme). The companies interviewed spoke candidly about the commercial and financial benefits that intellectual assets contribute to their businesses and the importance of developing IP strategies early to best serve their long-term business interests.